Home / Blog / Alcoholism / What Exactly is the “New Alcoholism”? What Exactly is the “New Alcoholism”? People have a certain idea or image of what they believe alcoholism to be. They may assume that when someone is addicted to drinking, it is obvious to everyone around them. An alcoholic may look a certain way, act a certain way or live a lifestyle that they associate with addiction. In recent years more and more new alcoholics are proving that addiction can happen to the people you least suspect. Alcoholism is happening more than ever to people in professional industries such as doctors, nurses, lawyers and those who are generally successful and making higher incomes. 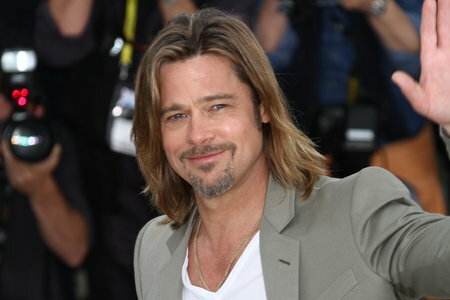 Even some of the most successful and respected actors in Hollywood such as Brad Pitt have revealed their issues with alcohol to the public. This type of functional addiction is slowly becoming the “new alcoholism” that is causing problems for many Americans. In the past people may have seen an alcoholic as someone who has low level income or is unemployed, living in a bad neighborhood or even homeless. Now alcoholism tends to occur more often among those who are married with great careers and on the surface appear to have fulfilling lives. Those working in addiction treatment are also seeing much younger patients, many of them who have decided to become sober and are still under 30 years old. Instead of seeking help after years of addiction, young people are more aware of the issues and are quitting before it becomes a bigger problem. Although it seems that the face of addiction has been shifting, this could be partially due to the diminishing stigma around alcoholism. With more support and education about alcoholism it could be that those in high profile jobs are less ashamed and more willing to get help. Young people may also have a better understanding of the dangerous effects of alcohol than they did in the past. While more high functioning alcoholics are getting treatment, the problem itself is not necessarily new. The functioning alcoholic is one of five general sub-types of alcoholism that were categorized in a study released in 2007 by the National Institute on Alcoholism and Abuse. Although high functioning alcoholics may show some of these symptoms while they drink socially, they might still be able to maintain great friendships and romantic relationships without any issues. They might also be well-respected in their professional career and continue to achieve a number of great accomplishments. One of the reasons it can take more time for functional alcoholics to realize that they have a problem is because they have a strong sense of denial. They may feel that because they do not fit the stereotypical image of an alcoholic, they are actually in control of their drinking. Their success in other aspects of their life can make it hard for them and everyone around them to recognize that they are addicted. People with high functioning alcoholism remain successful because they are very adept at living a compartmentalized life. They can easily separate their professional and even personal lives from the issues they are dealing with outside of these worlds. Their drinking life is a completely separate problem that never really affects their job. However, their ability to compartmentalize may keep them addicted for longer as they may not hit rock bottom the way that most alcoholics do. They can continue drinking with minimal consequences in some cases although their health may begin to suffer. Although high functioning alcoholism may not be entirely new, more people are beginning to realize that in spite of the fact that they lead successful lives they are still addicted to alcohol. With less stigma and shame surrounding alcoholism as well as more celebrities speaking out about their issues, alcoholics of all kinds are coming forward to get help. Even though their professional lives may not suffer from their alcohol problem, getting treatment can help minimize and reverse the negative impact it has on their physical and mental health. Alcohol can still significantly affect a high functioning addict’s mood and they may experience depression, anxiety or other mental health issues. When a professional suffering from alcoholism chooses to get treatment they can still benefit from the same types of programs as others. They can attend a rehab center and twelve step meetings and even find support groups or treatment programs specifically designed for professionals.